This meal was days in the making. 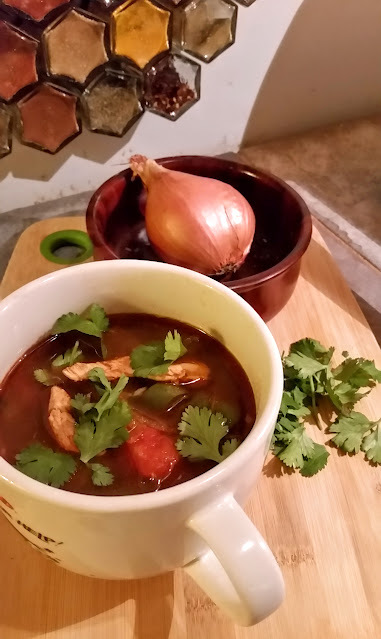 I don't normally premake meal components, and I usually save most of my cooking for the weekends, but I've been thinking about this soup for days. 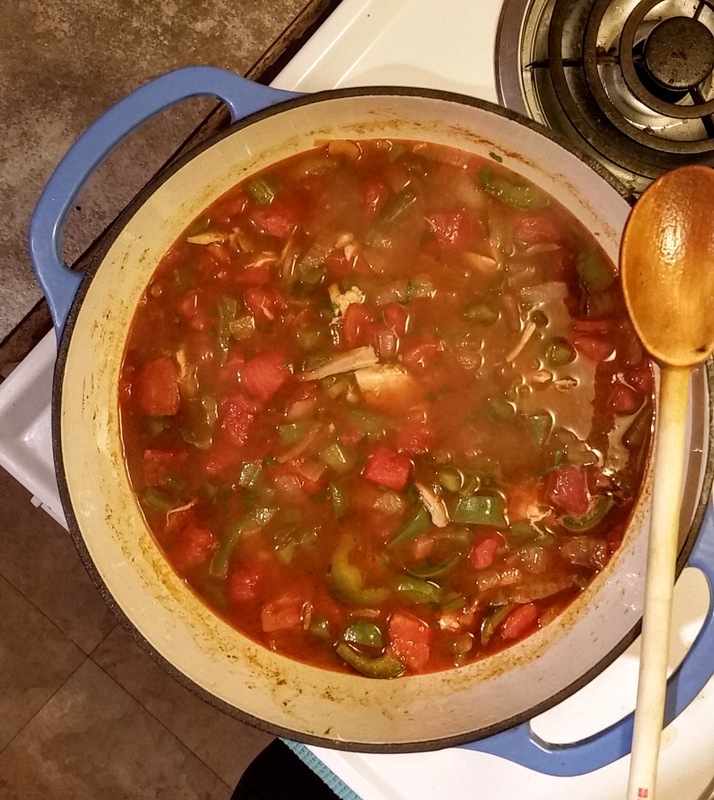 It all started with seeing a post about easy recipes you can make in a dutch oven. Roasted chicken and broth? Sounds great! 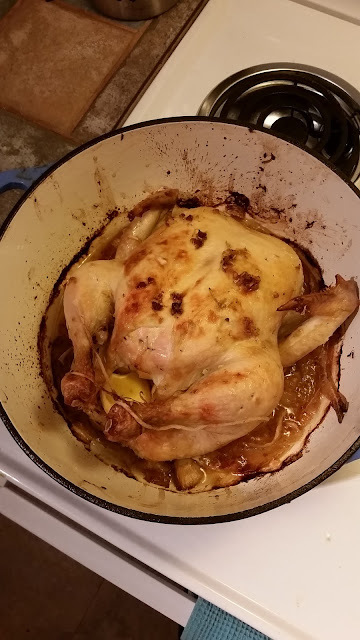 I've never roasted a whole bird before, and I've never made broth from scratch. And I had a few free hours this weekend. In my unexperienced foolishness, I thought I buttered the bird enough. I did not. Needs more butter! More butter! I know better know. Learn from my mistakes. Butter the bird! The best part of making broth after roasting? I didn't have to clean the dutch oven. Throw some more veggies in with the drippings, remove the lemons from the chicken carcass, some seasoning, some water, and hours of simmering. So easy, so flavorful. It made nearly 11 cups of broth. Which brings us to tonight. 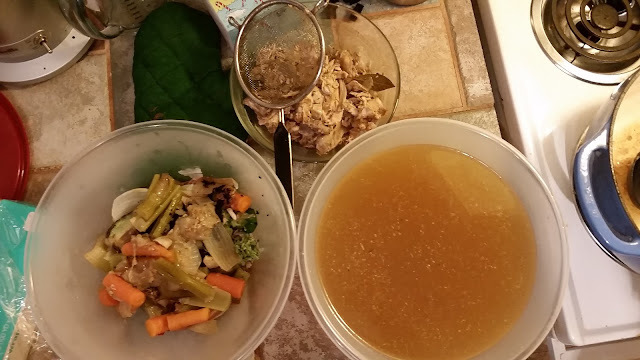 With 11 cups of broth and an entire roasted chicken, I set out to make my favorite dish: soup. Taco soup. 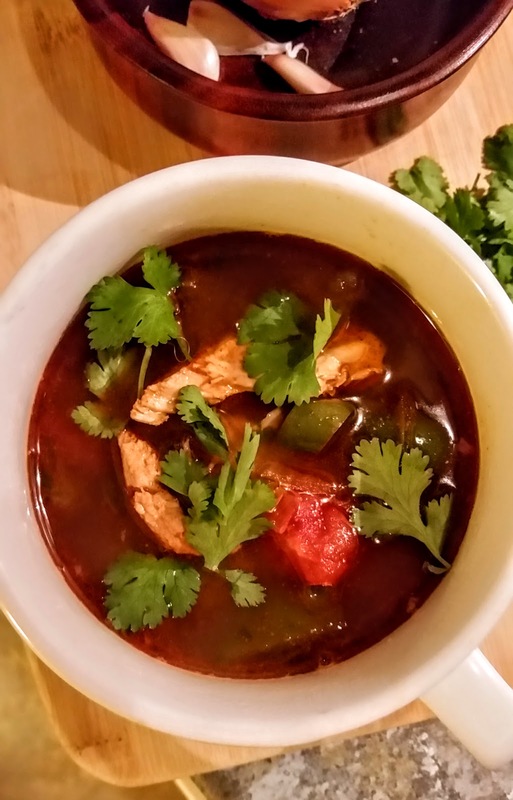 Spicy taco soup! Lots of colorful and flavorful spices. Dutch ovens are great for soup making! And chicken roasting...and broth simmering....so many things! 1. Premake chicken and broth, if you're ambitious enough. Store-bought is perfectly fine! 2. Heat oil in pan over medium high heat. Slice onions and throw into pot. Enjoy the sizzle and let it cook for several minutes until onions are soft and starting to caramelize. 3. 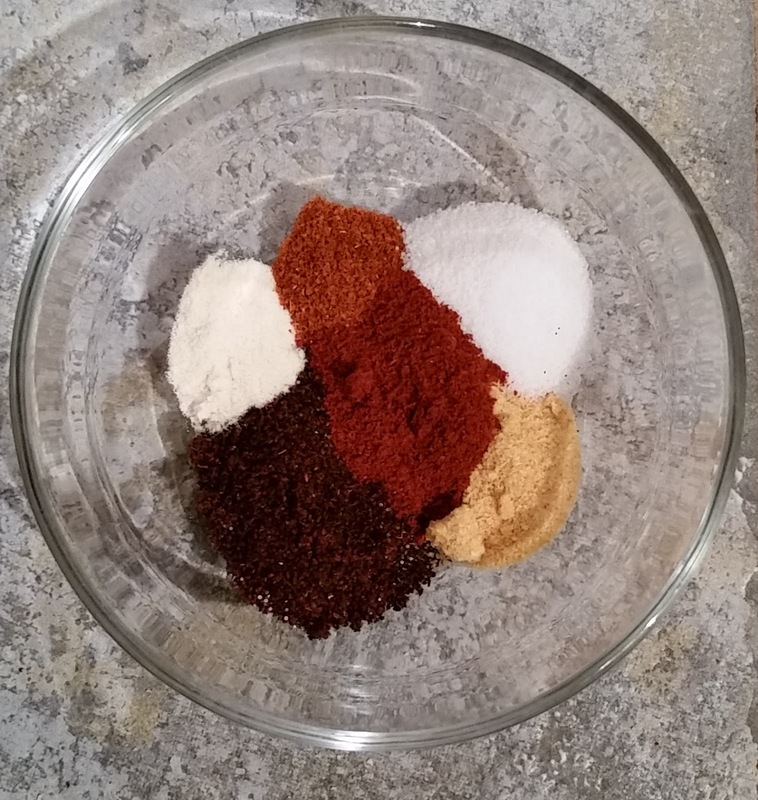 Mix together spices and throw in with onion. Stir to coat and let the flavors infuse. 4. Dice up bell peppers and jalapenos. Throw in pot. Cook until starting to soften. 5. Pour in the chicken broth slowly, stirring to loosen up the flavors off the bottom of the pan. 6. Add chicken and tomatoes. Bring to a boil and then turn the heat on low and let simmer. Serve with cilantro.